June 22, 2016  The veteran singer-songwriter worked on her latest album with superproducer Dave Cobb. Hear an interview and live performance. April 28, 2016  On her 14th album, a collaboration with top producer Dave Cobb, the country veteran traces her memories while still looking toward the unknown. July 15, 2013  Between them, the pair have sold millions of records and won eight Grammys. They return to Mountain Stage to perform individual hits and cover their favorites, including Steve Earle's "Someday." 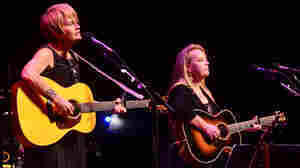 July 6, 2009  Five-time Grammy winner Mary Chapin Carpenter performs an acoustic set during her sixth appearance on Mountain Stage since 1987. The country singer plays songs from her ninth album, The Calling. December 24, 2008  A venerable and popular country-folk singer, Carpenter recently made a foray into holiday music, releasing an album of traditional and original Christmas music titled Come Darkness, Come Light. She plays holiday tunes in a session from WXPN. 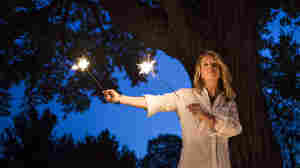 July 29, 2007  On this edition of What's in a Song, singer Mary Chapin Carpenter talks about her song "Twilight." It's an in-between time of the day with special meaning for her. March 9, 2007  Carpenter's music is often classified as country, for lack of a more accurate term. In reality, the multiple Grammy winner blends folk, rock and country, all intertwined with her own original melodies and lyrics. 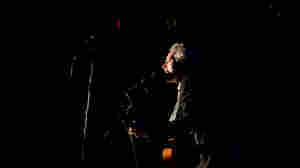 Carpenter performs a concert from WXPN and World Cafe Live in Philadelphia. November 25, 2004  For an All Things Considered Thanksgiving Day special, singer Mary Chapin Carpenter performs from her farmhouse in the Blue Ridge Mountains. She shares the stories behind the songs from her latest album, Between Here and Gone. October 3, 2012  Over the last few years, singer-songwriter Mary Chapin Carpenter's life has been drastically transformed. In 2007, she suffered a life-threatening pulmonary embolism. Her marriage ended soon after, and then her father died. She channeled her grief from those experiences into Ashes and Roses. August 7, 2012  Carpenter's 11th studio album, Ashes and Roses, deals with themes of death, divorce and illness. June 29, 2012  Laughs, musical mash-ups and a Conway Twitty cover on this episode of Cabinet. Comedian and actress Janeane Garofalo is a self-proclaimed bacon-eating vegan, but she takes a stab at the good citizens who shop at Whole Foods. June 23, 2007  After suffering a life-threatening illness, singer-songwriter Mary Chapin Carpenter had time to reassess her priorities. She came to believe in more fully appreciating the blessings each day brings.